Low Season Special offer Safari: 4 Days Tsavo East, Tsavo West and Amboseli, Accommodation in Ashnil Aruba Lodge, Amboseli Serena Lodge and Kilaguni Serena Lodge. On the Last Day you have your Lunch at Ngutuni Safari Lodge and enjoy an afternoon Safari game drive before returning to your Hotel in Mombasa. 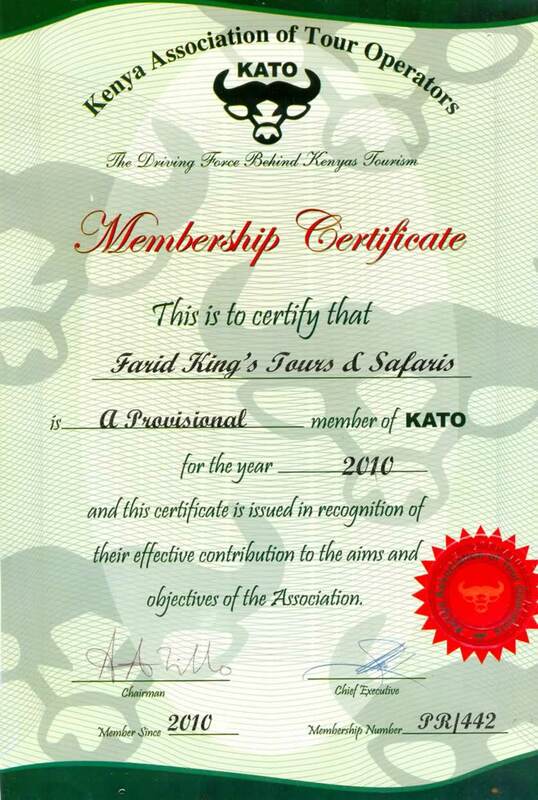 Optional activities and at Extra Cost - Balloon safari in Amboseli and a Tour of the Masai Village . Depart from your hotel in the morning and drive along the Mombasa - Nairobi road to the first gate to Tsavo east national park [Bachuma gate]. 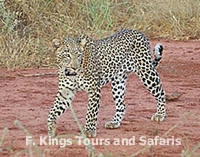 After entry embark on your first game viewing in search of Elephants ,the man eaters of Tsavo, Buffalo, cheetah, Giraffe and other plain game. Lunch at Ashnil Aruba safari lodge. Afternoon game drive which includes a visit to the famous Aruba dam where lots of game can be found especially during the dry season .Dinner and overnight in the same lodge. Early morning game drive starts at 0600 Hrs before returning to the lodge for breakfast. 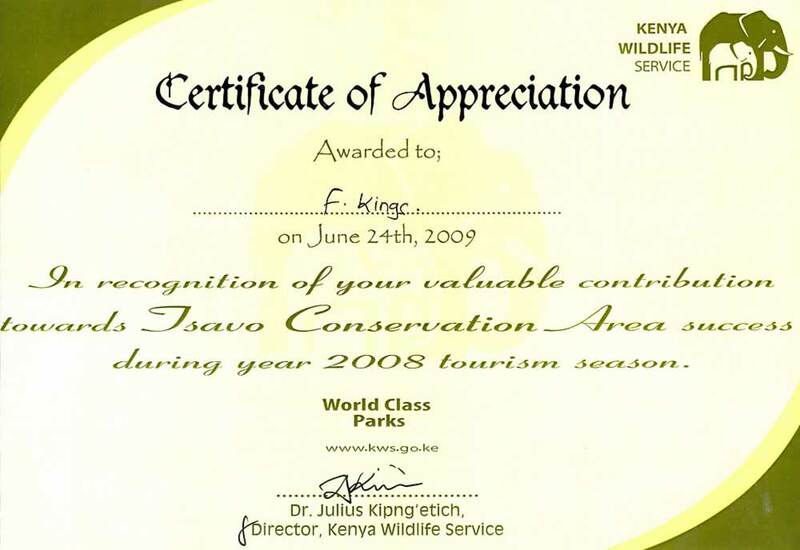 Thereafter checkout and drive to Tsavo West national park with game viewing en-route to Ngulia safari lodge for check-in and lunch. Afternoon game drive which includes a visit to the Rhino sanctuary. Dinner and overnight in Kilaguni Serena Safari Lodge. Breakfast game drive to view the beautiful Tsavo West mountains, visit the famous Mzima Springs, spot the Hippos, Crocodiles and different types of Fish in the crystal clear waters. Game en-route to Amboseli National Par k arriving in time for Lunch. Afternoon game drive in search of the big five. 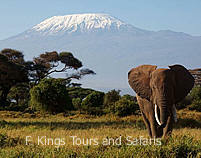 Enjoy the spectacular views of the Africa's highest snow capped Mt. Kilimanjaro. Dinner and overnight at Amboseli Serena Safari Lodge. After breakfast leave Amboseli and drive back to Mombasa with lunch en-route lunch at Ngutuni Safari Lodge and enjoy an afternoon Safari game drive in Ngutuni Sanctuary before returning to your Hotel in Mombasa to arrive in the evening.